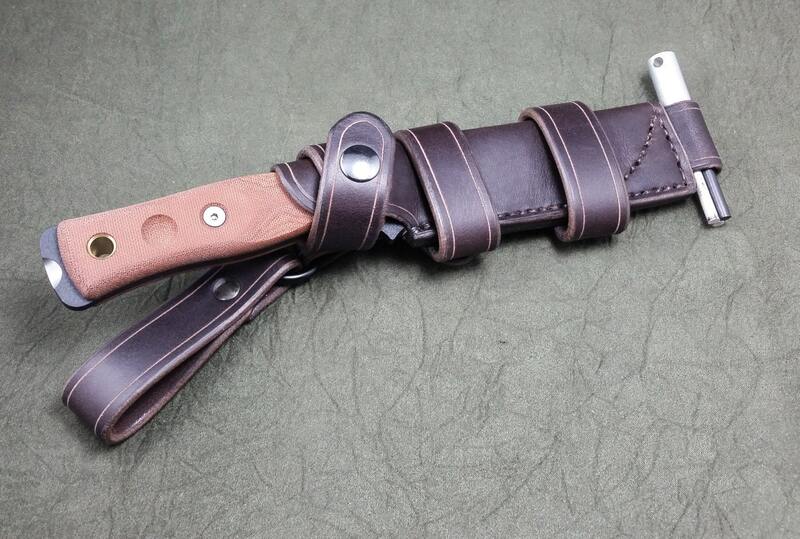 Handmade Leather Scout Sheath For The TOPS Fieldcraft Knife. 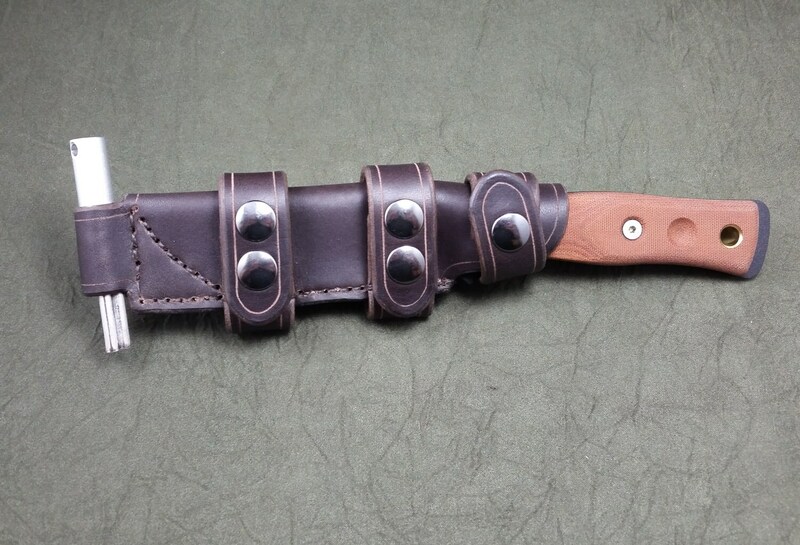 This is a handmade leather sheath for the TOPS Fieldcraft Knife better known as the B.O.B. The sheath is made out of sturdy 8-10 ounce latigo cowhide and is available in a variety of colors. 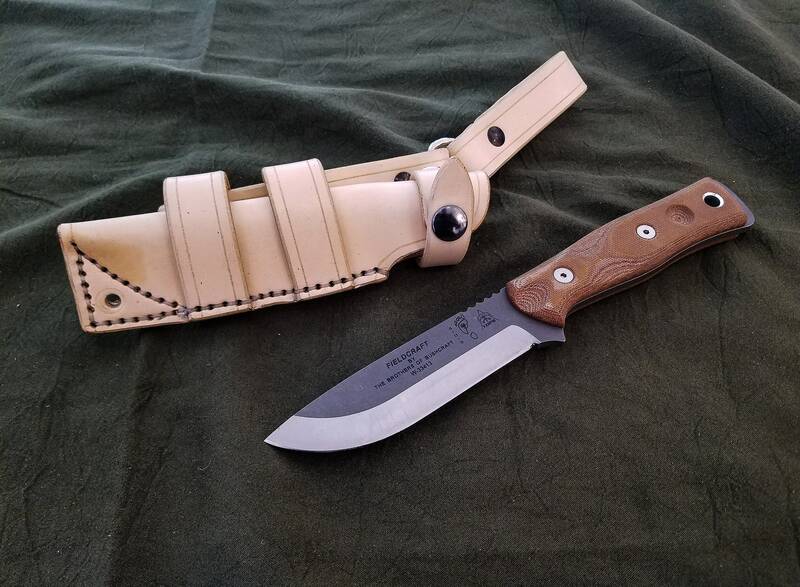 The knife comes standard with two straps which allow the knife to be carried horizontally or "scout style" but can be ordered with an additional dangler loop which attached to one of the scout straps to allow you to carry the knife vertically. The sheath can now also be ordered with two solid straps, that cannot be undone, but render the sheath ambidextrous, making it more modular and convenient. In the options "Ambi" refers to the ambidextrous straps. 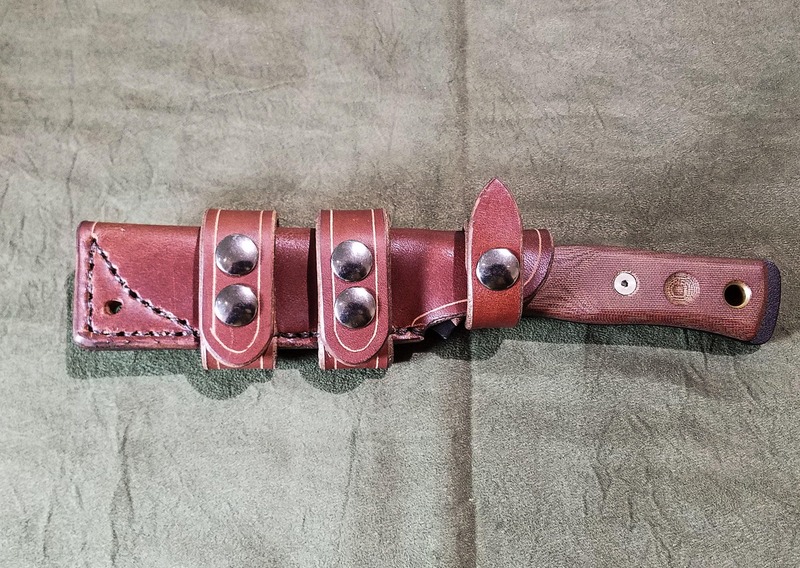 The knife is secured in the sheath via a leather strap that snaps closed, and can be swiveled to either side of the sheath, rendering the sheath ambidextrous. 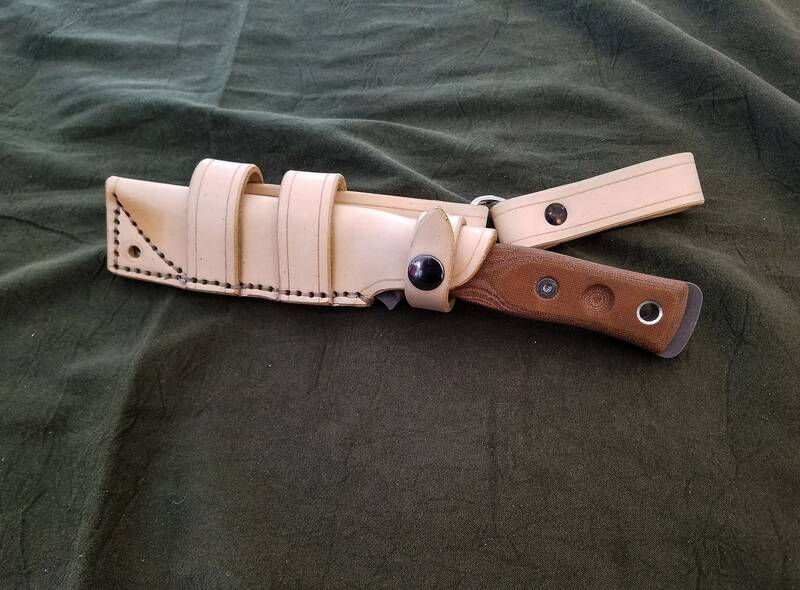 Also featured is a firesteel loop at the end of the sheath,made to fit the TOPS firesteel, but will accept most firestarters. 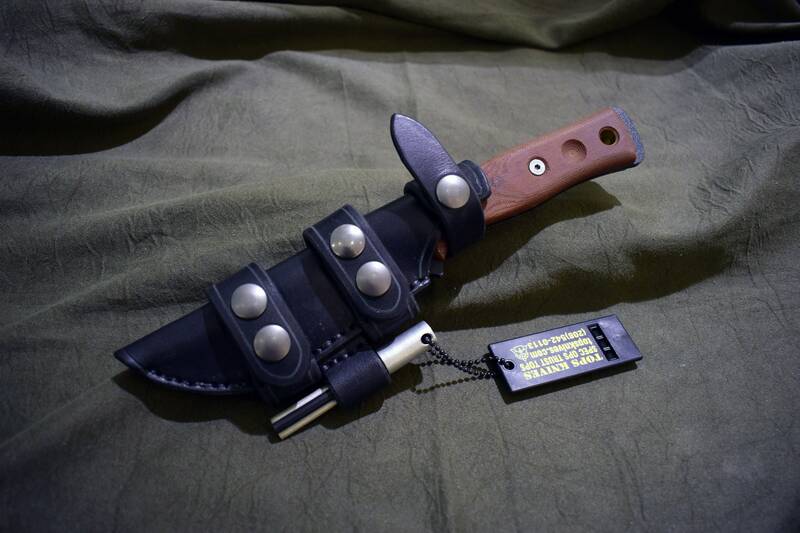 An alternate style is available, as pictured with a sloped end instead of square, with the firesteel on the bottom of the sheath rather than the end. Message me if you are interested in this style at no extra charge. 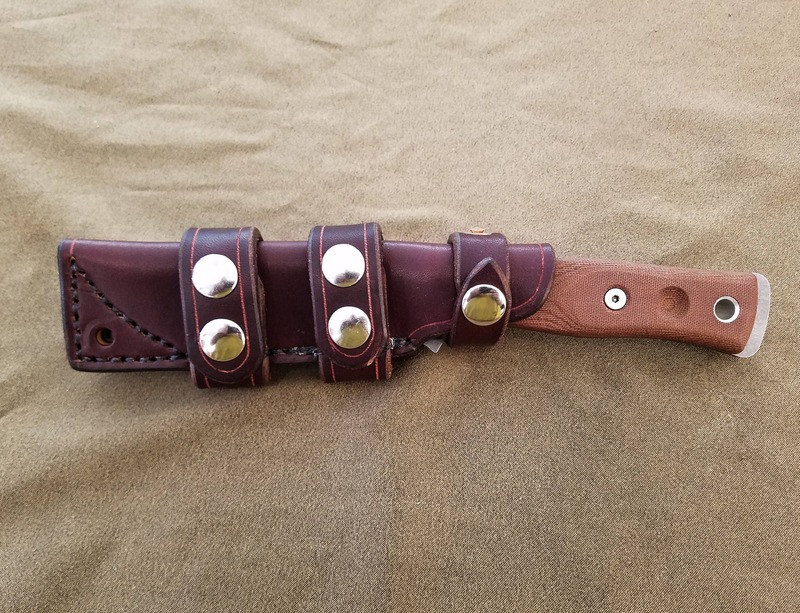 As with everything I make, this sheath is fully customizable, so feel free to message me if you have any questions or ideas.